Cementitious Self-leveling Floor Mortar - MUHU (China) Co., Ltd.
MUHU Cementitious Self-leveling Floor Mortar is a self-leveling cementitious, non-structural, floor underlayment intended for use over poured in-situ and precast concrete floors which will be covered by carpet, vinyl, ceramic tiles or natural stone. Only water needs to be added at the job site to obtain the desired consistency for pumping or manual installation. Substrate must be clean and free of oil, sealers, curing compounds, paint, polymer coatings, dust or other foreign (bond breaking) matter. Remove all weak or broken pieces of concrete. If necessary, employ mechanical cleaning methods and equipment. If sealers, paint, polymer coatings or curing compounds are present on concrete substrate, remove with mechanical shotblasting equipment. It is best applied where the application temperature is between 5 degree C and 30 degree C.
Voids and cracks (water pipes, holes, drainage pipes etc) should be filled to prevent seepage through to lower levels. Note: Joints should always be cut in toppings directly above those in the base slab to avoid random cracking. Apply this Primer to the dry substrate by roller, brush, low pressure spray or squeegee. On very porous or absorbent substrates, 2 coats may be required to effectively seal the substrate. Take care to avoid puddling of the primer. Allow to fully dry before application of this. For small areas, a slow speed stirrer of not more than 4 minutes. Place the required quantity of water into the mixing vessel. Whilst mixing, slowly add the powder to the water within 3 minutes then mix for a further 1 minute. Allow mixed this to stand for 3 minutes and then remix prior to application. 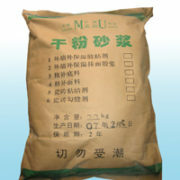 For improved efficiency and continuous production of it, it is recommended to use at least two mixing buckets. For larger jobs, the use of a mechanical mixer/pump unit is recommended. Pour mixture over substrate or pump through a suitable pump to desired thickness. For hard to reach areas and touch-ups, a spreader may be used. Whether pouring from a mixing vessel or using a mechanical mixer with an application hose, the discharge point should be approximately 200mm from the floor to prevent splashing and air entrapment. Progress should be steady and even. Application should take place continuously into the preceding wet material to ensure even thickness and flow. Do not make new edges and fill in the middle. 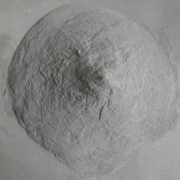 It is self-curing, but as with all cementitious products, in hot weather take adequate measures to protect it from exposure to direct sunlight and hot winds. DO NOT use water spray or liquid membrane curing compounds as these may affect the surface texture or prevent bonding of subsequent adhesives used with floor coverings. Tools should be cleaned with water before the material hardens. Hardened material will need to be mechanically removed. It can be stored in tightly sealed original bags for 6 months if kept dry and at a moderate temperature. Available in 30kg moisture resistant bags. It is not toxic, but as with other products containing cement it has an alkaline nature and thus can be irritating to skin and eyes. Wear simple dust masks and gloves when handling. Keep out of reach of children. Wash off splashes of material with clean water. If irritation persists, seek medical advice.